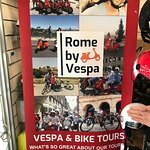 Rome by Vespa is a bike and scooter vespa rental in the heart of Rome, near Termini station in via dei Mille 8. 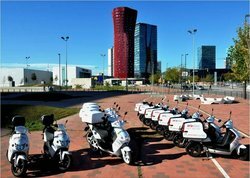 With our bike or vespa tours you can visit the city in few time, spending few many, and having a fantastic experience. 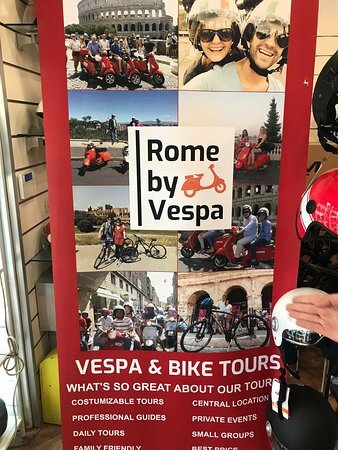 Great way to explore Rome! 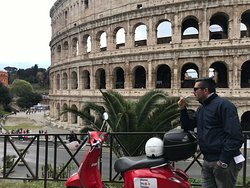 During approximately 3 hours, we got to see several beautiful views of Rome, while Francesco gave us great information of the different historical aspects. 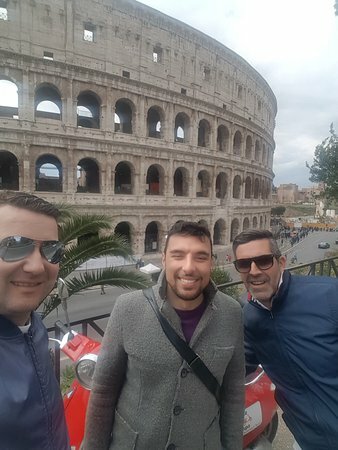 Thank you for choosing our company in Rome! This your was amazing and worth the price. 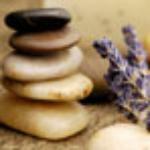 No other way will you see so much, so quickly and feel so such a part of it while you do it. 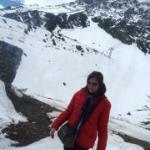 Francesco was a great guide and really safe. 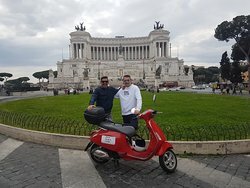 Amazing experience with Rome by Vespa! 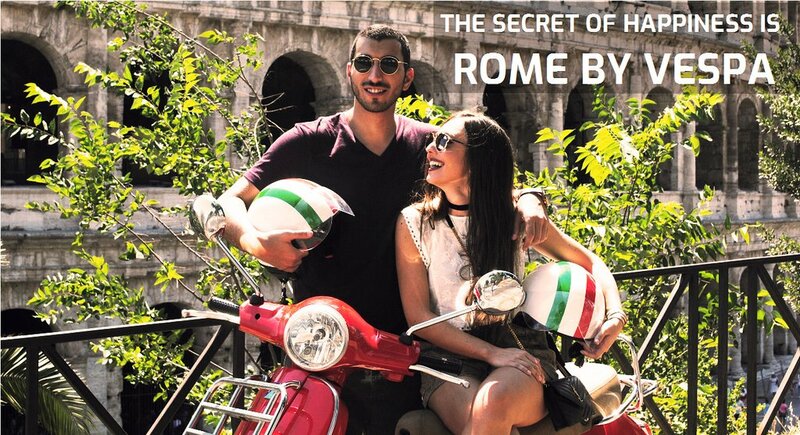 Get quick answers from Rome by Vespa staff and past visitors. 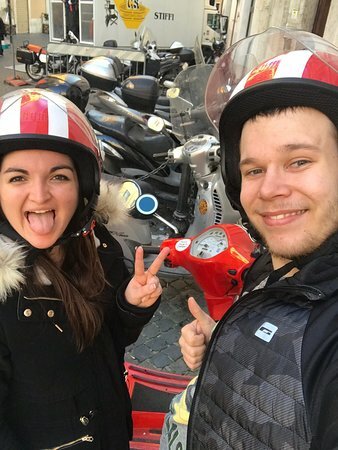 Hi the kid of 3 years can't ride on a vespa, it is not possible. 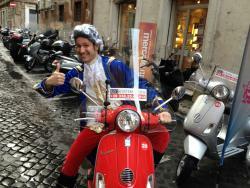 For Italian law he have to touch the pedan of vespa with both his feets. 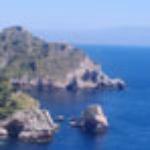 Hi I'm planning a surprise holiday to Italy for my husband for his 50th birthday. 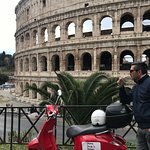 I'm looking for somewhere that he could self ride a vintage vespa and have a day touring Rome/surrounding areas following a guide, any ideas as where would offer this and the price, he wouldn't like riding pillion thanks. 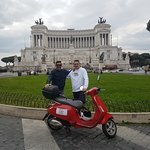 Hi Amy, we can organize a private vespa tour for you. 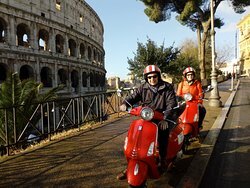 Your husband can drive an automathic new vespa (model Vespa Primavera 125 cc). 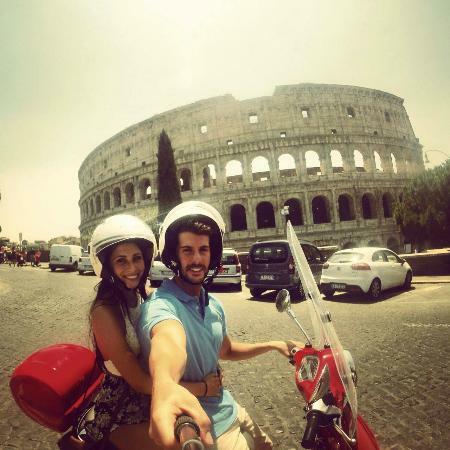 He will follow a professional licensed guide that will show him all the best places of Rome. 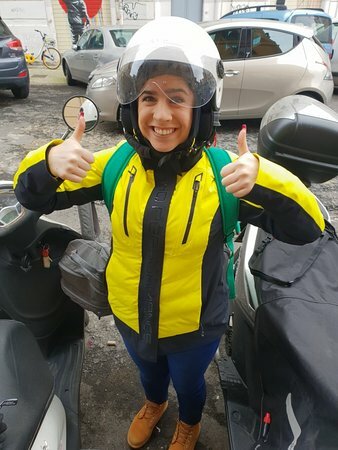 To drive the vespa is required: - scooter driving experience - credit card for 500 € deposit - driver license PRICES: 2 hours tour - 1 person self drive on the vespa: 120 € -2 people self drive on 1 vespa (1 join the tour like passenger) 130 € 3 hours tour - 1 person self drive on the vespa: 120 € -2 people self drive on 1 vespa (1 join the tour like passenger) 180 € 4 hours tour - 1 person self drive on the vespa: 145 € -2 people self drive on 1 vespa (1 join the tour like passenger) 200 € For any further informations, please, visit our website. 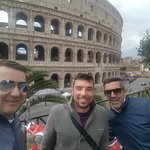 Hello, we are traveling to Rome on September. 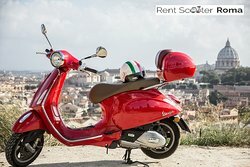 I wanted to know about rent a Vespa. We are 3, my husband, baby girl of 1 y 2 month and me. Can she be carried on the baby carry and ride with us in the Vespa ? Is this legal ? What do you suggest to us ? 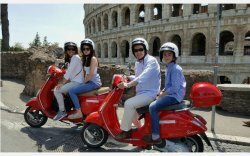 Italian law strictly prohibits the transportation of children aged under 5 on two-wheeled vehicles. For children aged 5 and over, the law states simply that they must be large enough to sit in a stable, balanced way, in a position determined by the vehicle's equipment.